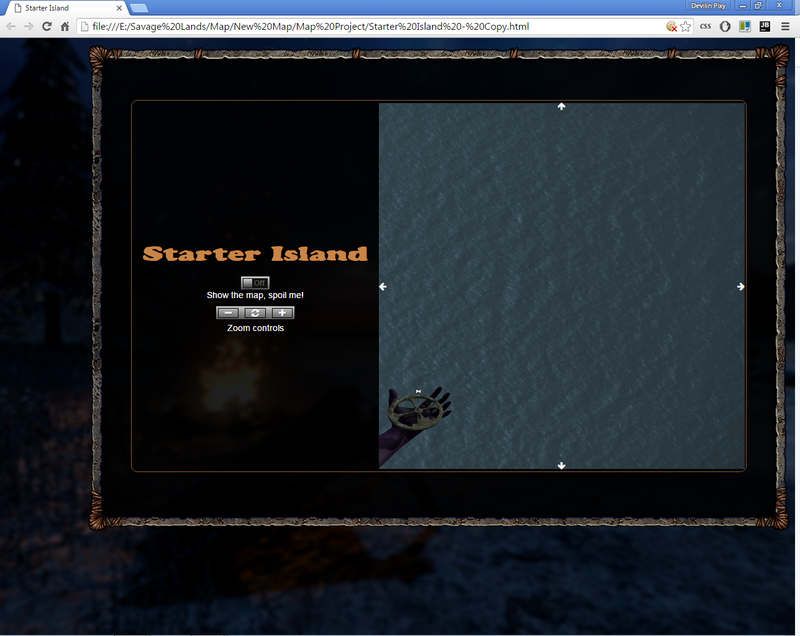 Working on a little project for an interactive map for Savage Lands. I am preparing this map for the official Savage Lands Wiki. The new Unity 5 builds, which are currently in beta (opt-in) will contain 3 islands instead of just the one Sundered Isle in the previous Unity 4 builds, currently still available in the public branch. 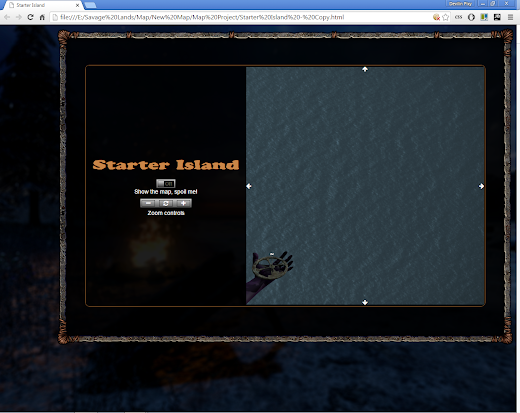 Each island in Tarvhas which are 'Snowmere' (starter island), 'Freydalyn' (main island) and a third island which has not been named yet, will get there own page on the wiki with an interactive map. Auto-resize depending on monitor resolution and window size to prevent scroll bars on the page. Zoom and Pan capability with mouse scroll wheel and click drag as well as buttons to accomplish the same. Custom toggle buttons for several settings. Settings are saved through Local Storage to keep last known state. The settings allow showing a variety of things on the map. 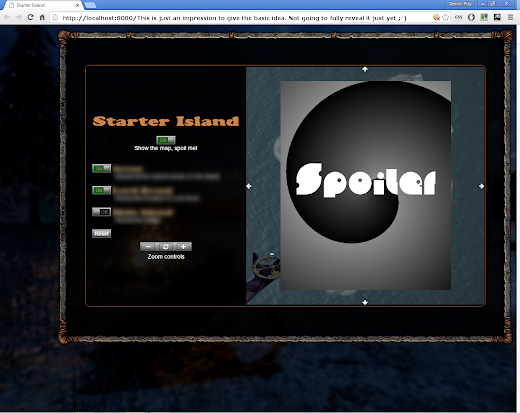 Some settings may only show depending on Steam API or possibly wiki achievements to prevent spoilers for newer players. They will have to be unlocked first. 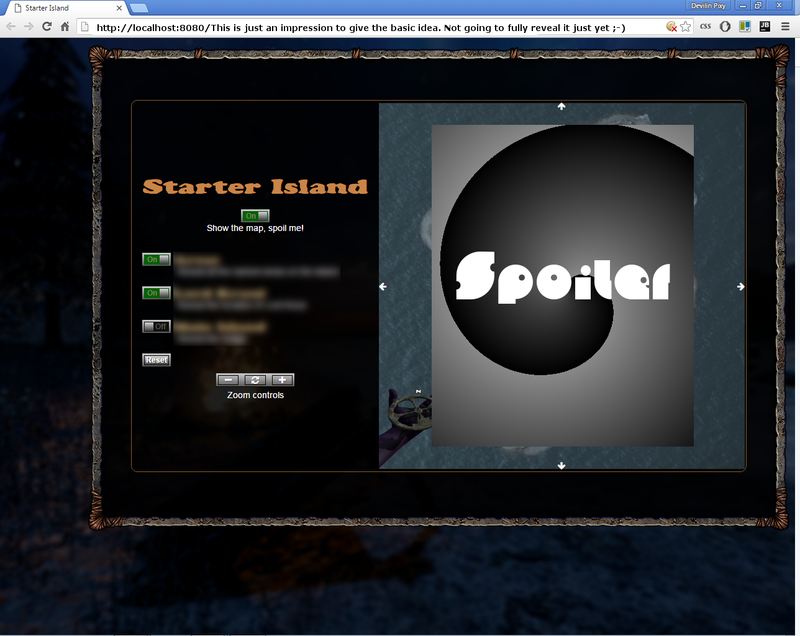 Things shown on the map will be clickable to link to appropriate pages elsewhere on the wiki. Will give it some time for all three of the islands to finalize and may make some additional changes before implementing them on the wiki. The main features are all in place now, so I am all prepared. Keep an eye out, they'll be up hopefully some time soon™.